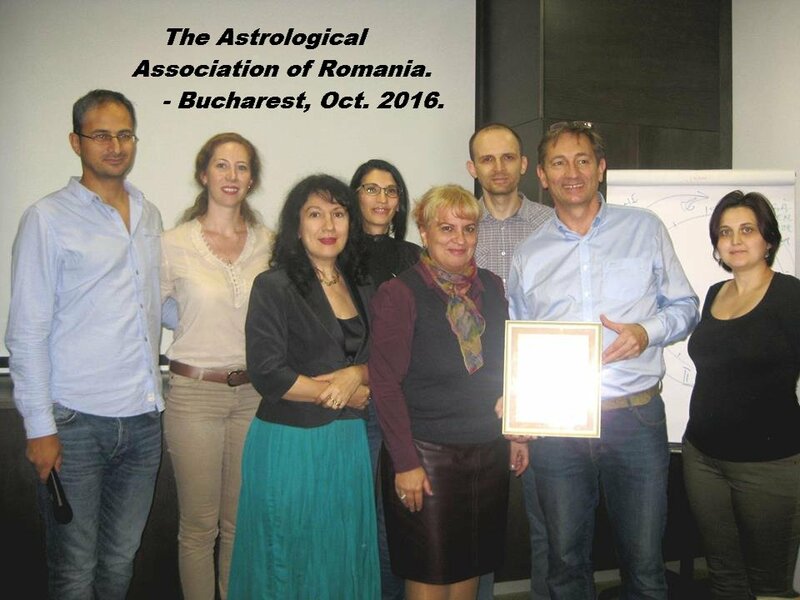 Awarded a Honorary Membership of the Astrological Association of Romania for his contribution to Astrology with the Age Point Technique. Commented Riise's return to Norwegian football for RadioAalesund. Guest speaker and receiver of the Lifetime Acheivement Award at the 38th International Conference of Oriental Heritage, New Delhi, India. The passing of Margaret Thatcher predicted on FaceBook - 2 months in advance. (In English at Skyscript.) For RadioAalesund – predicted Aalesund FK's 4th place in the Norwegian top division. ANDREW speaks at Warsawa Conference! The Astrologer presents New Advances! Predicts Sweden to win Eurovision 2012, and Spain to win Euro2012. The favourites got it, but results were consistant with prediction! About the Terror Acts in Oslo, Norway (Norwegian). PREGNANCY OF PRINCESS VICTORIA OF SWEDEN - Predicted (Link)! Siv Jensen (Frp), Kristin Havorsen (SV) ahead of Norwegian local elections. Summary Here ! 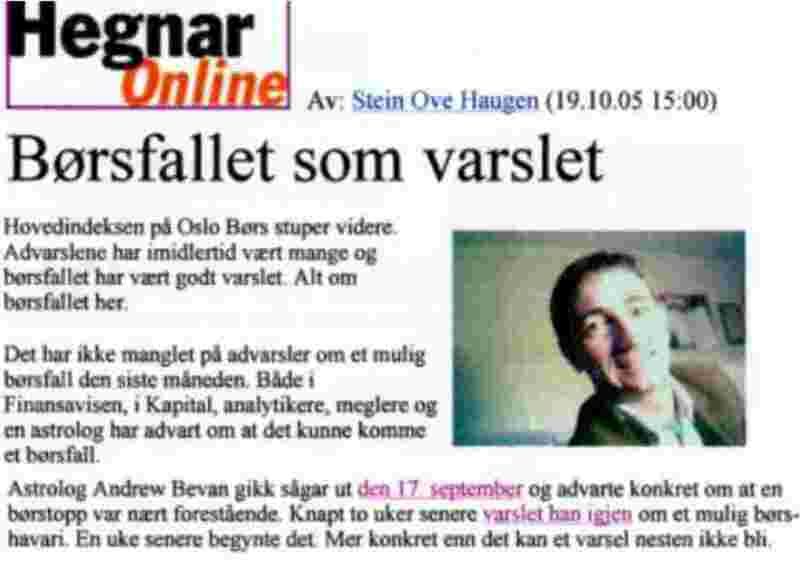 SE&HÔR, No.1-2011: Looking ahead on Norwegian Celebrities; NORTHUG ; SKAVLAN. Passes ASTROLOGY CHALLENGE at RADIONORGE. Picks top of Finance market (Here)! VENUS & JUPITER stationary NOVEMBER issues ROYAL ENGAGEMENT. NORTH KOREA vs. SOUTH KOREA CONFLICT in New Escalation. HAITI & CHILE: EARTHQUAKES PREDICTED. Iceland: VOLCANO PREDICTED. Lunar eclipse spells hazard for Particle Collider. 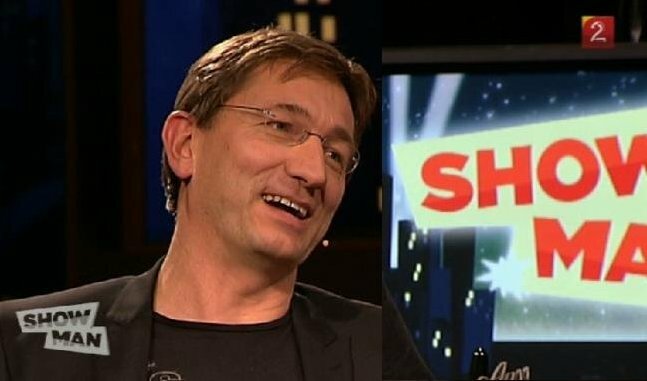 Comments the Economic Crises on Iceland for Icelandic television: Visir.is. Planets sing for Germany & Armenia in Eurovision 2010. 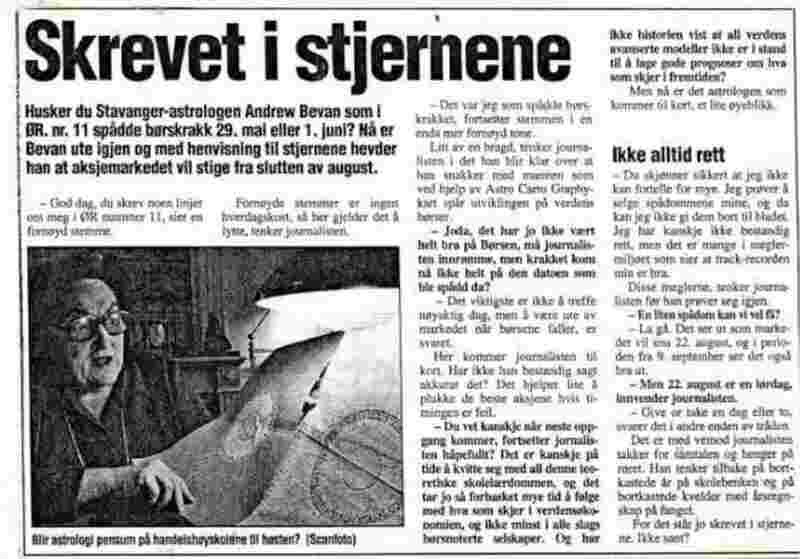 Astrology looks at charts of Siv Jensen and Lars Sponheim prior to Norwegian Election. Total Solar Eclipse in July: Swine flu warning cradled in 1360. Comet Fever spells Norwegian victory in Eurovision Song Contest 2009. Soccer Ghost haunts Local-Derby since Royal Wedding of Charles & Di. Andrew predicted FED's Double Rate Cut in September. Top of Market 14days ahead of plunge! Italy and Etna stirred by March eclipse. 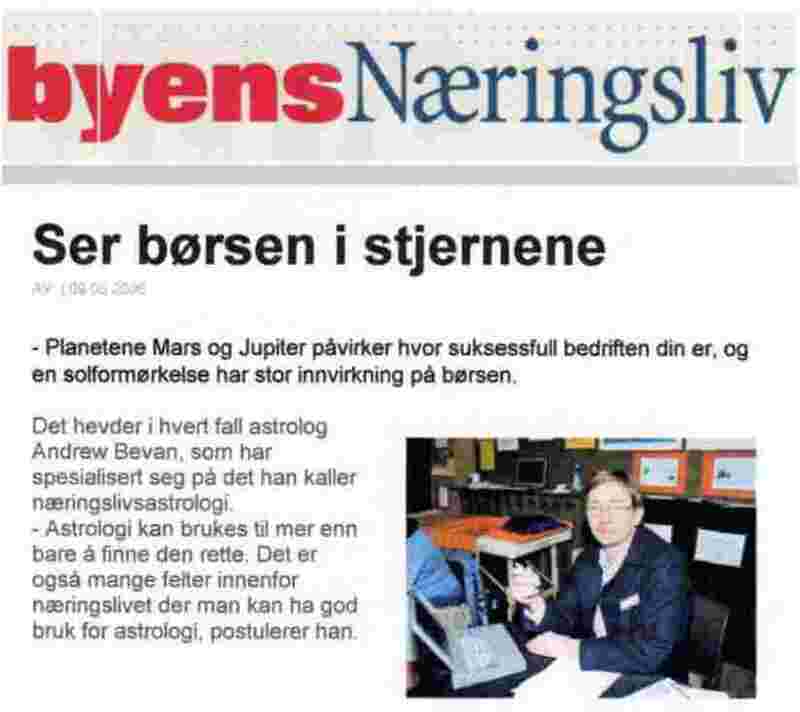 Calls a Top to the Norwegian Stock market for Hegnar Online and Dagens Naeringsliv. Solar eclipse of Oct. 3rd brings 16% drop to Oil-based market. 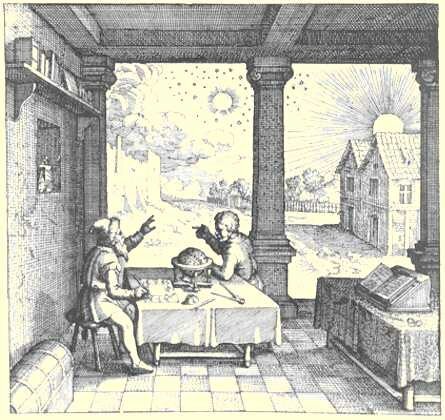 The eclipse of April 8. shakes Italy & indicated the death of the Pope. Stoltenberg coalition as predicted in 2003. Predicted the Tsunami quake that hit Indonesia 26. December. 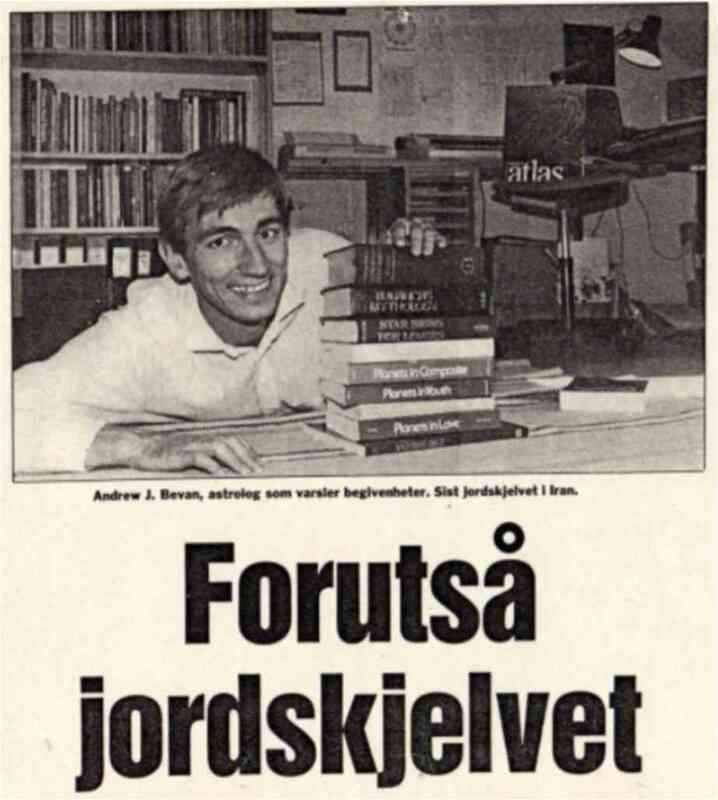 Check -The Guardian - or Andrew's documentation with links to HegnarOnline and Radio P4. Upon the appointment of Aaslaug Haga as new Leader of Senterparitet, he predicts a Government coalition between AP, SV and SP after 2005 election. 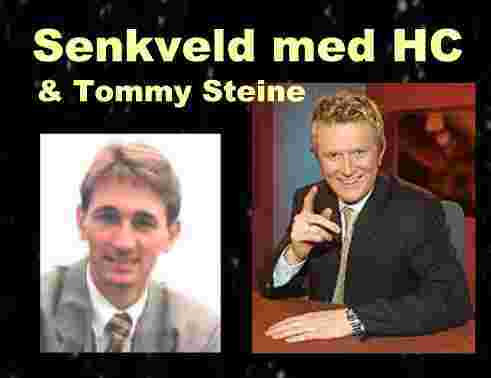 Engaged as astrologer for Friday night show "Senkveld", TV2 with HC Andersen. Warns clouds in the sky for the Royal Wedding between Princess Martha Louise and Ari Behn. On April 2. 2002 doctors at the hospital of Baerum comply by postponing Caesarean and delaying the birth of astrologer's son with 50 minutes. For a Norwegian Investment Fund he forecast the Top to International Stock markets 4 months in advance. 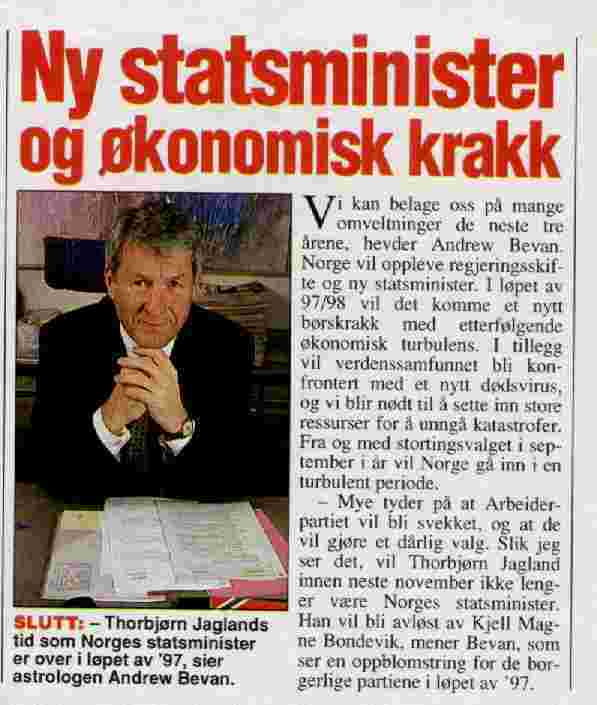 Predicts the fall and return of Prime Minister Kjell Magne Bondevik for Nationen. Predicts a cluster of earthquakes in the wake of August eclipse. Joins quakes of Turkey, Athens and Taiwan in a meaningful sequence. Italy in the danger zone of 28. September key date. Etna hit by largest eruption for decades. Gro Harlem Brundtland commences as General Secretary of WHO (See 1996). Troubled Clinton in August gets hit by Lewinsky. Warns British to prepare for shock-news two weeks prior to Diana car-crash, 31.Aug.1997. Weekly program on nationwide radio, Radio P4. Discovers time sequence between historical aviation disasters - predicts cluster close to Concord-crash. Predicts stoop to international finance markets. Bondevik forms Government on smallest parliamentary basis in Norwegian history. 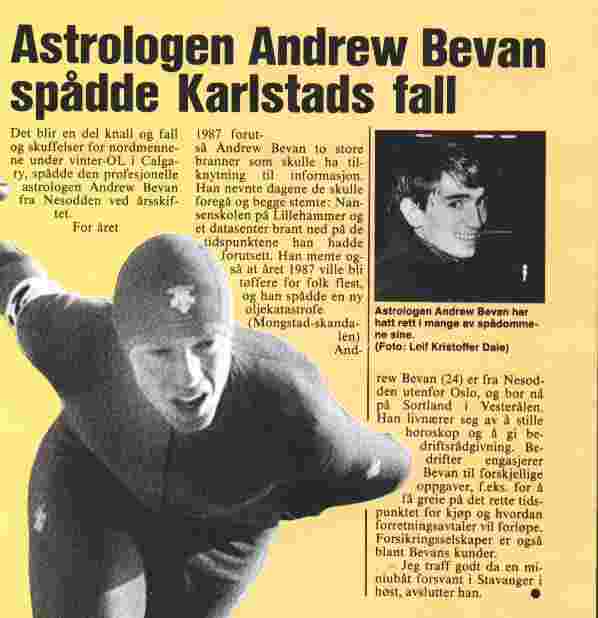 Credited for astrological advice to explorer Borge Ousland upon his successful single-handed expeditions to North Pole 1993-94 and across Antarctic in 1996-97. Predicts the fall of Prime Minister Torbjorn Jagland, and Kjell Magne Bondevik as next for Office. Predicts Gro Harlem Brundtland to reappear in June 98. Takes legal steps against Telenor for defining astrology as entertainment and disallowing a payline under Info & Consultation services. 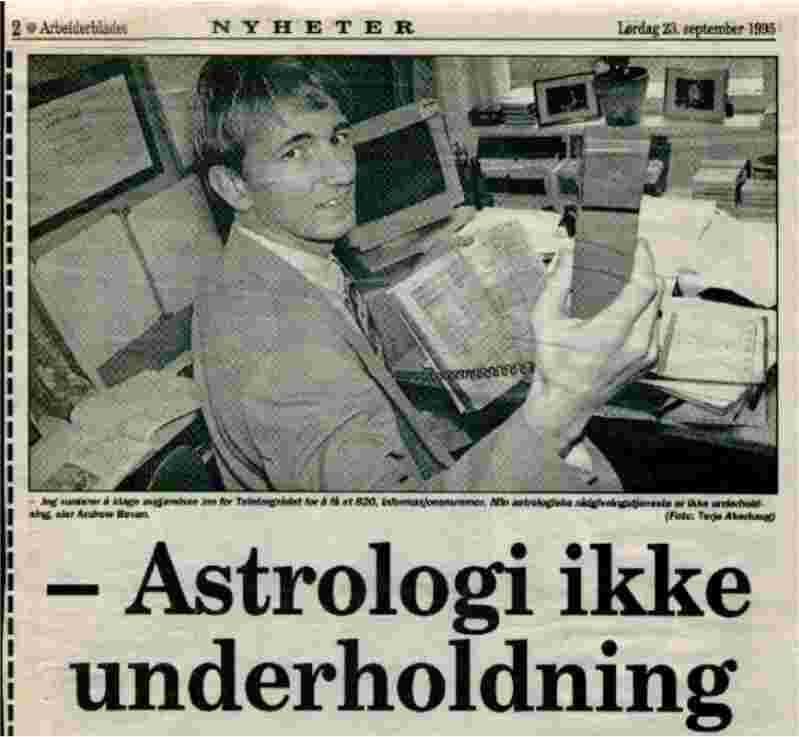 Persuades national telecom, Telenor, to open Fortune-telling directory to separate Astrology from other forms of commercial divination. New planet discovered beyond Pluto! Predicted leadership change to Norwegian opposition party. Kullman-Five to withdraw. Holst not due to return to politics. Pin-pointed Top of Bull-market to Feb 2. Koss retirement from speed skating. That Sweden would join the EU, but regret it; that Norway would vote against. Predicted that Gro Harlem Brundtland would not complete her period as Norwegian Prime Minister. Warned the volcanic eruption of Etna, Sicily, in January 92. Determined crash of Norwegian Stock market (-33,5%) from May 29. till end of Aug. Predicted the coup against Gorbatsjov to endure for 3 days only. Addressed the Norwegian Crown Prince, March 23.1990, regarding his fathers imminent illness which lead to the Change of Regency. Warned the devastating Earthquake of Iran, 7.6 Richter, on June 20, which killed 47.000 people. Discovers time sequence between significant earthquakes. Predicts the largest earthquake in Norway for 50 yrs, 5.3 Richter, to exact date, Jan 23. 1989. Credited for predicting San Francisco earthquake, 7.3 Richter, Oct. 18.1989. Predicted the fourth largest crash in history to Wall Street, Jan.8.1988, and the forthcoming Bull Market. Forecast the Norway's worst Winter Olympic results ever and the Fall of World-record holding speed skater, Geir Karlstad, on the 10.000 m.
Persuaded authorities within the national telephone company, Televerket, to admit astrologers to the Yellow Pages of the Norwegian telephone directory. Discovers a possible time sequence connecting the historical discoveries of the Outer Planets. Postulates a new planet to be sighted beyond Pluto on November 3. 1995. Look What Happened! 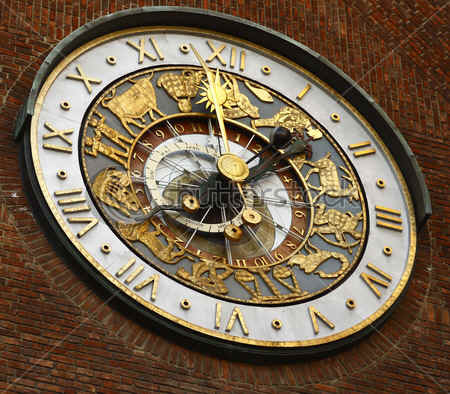 Sets up an office for astrological counseling in the middle of downtown Oslo City. Visits astrologer and CAO TIMES Editor, Al H.Morrison, who predicts the World Trade Center will be hit by a Boeing. 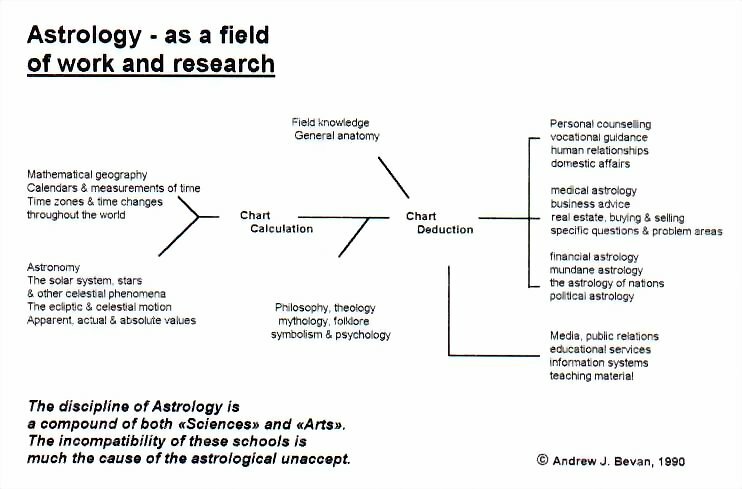 Starts practicing astrology full time.